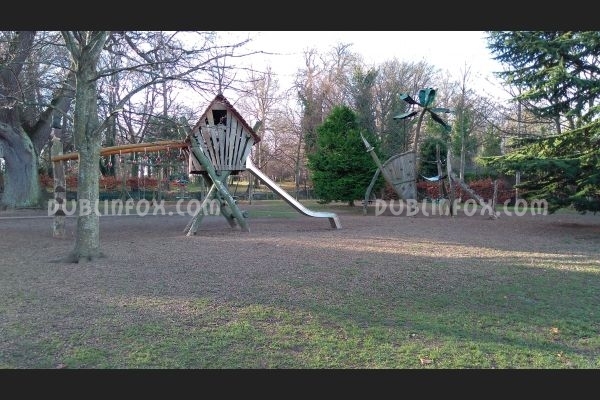 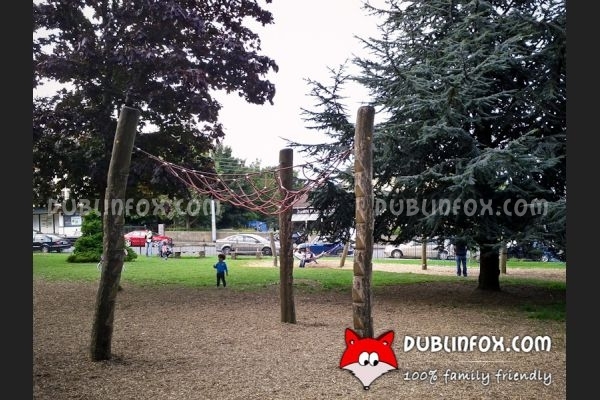 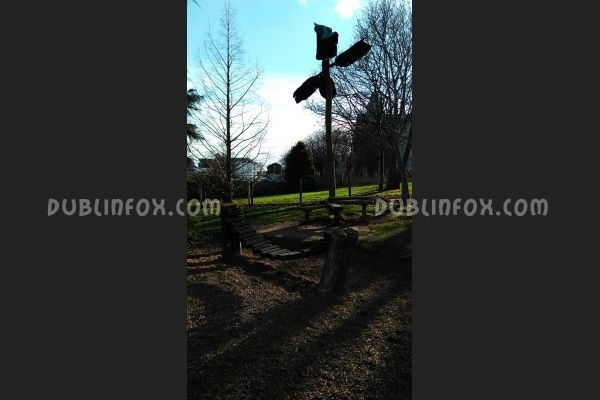 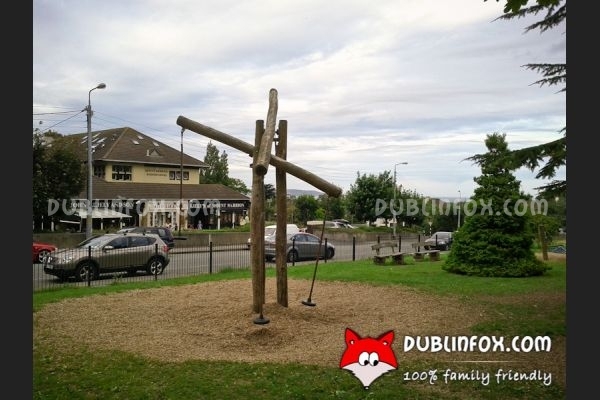 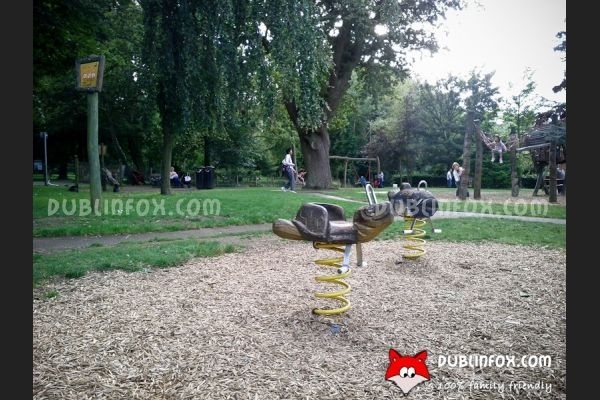 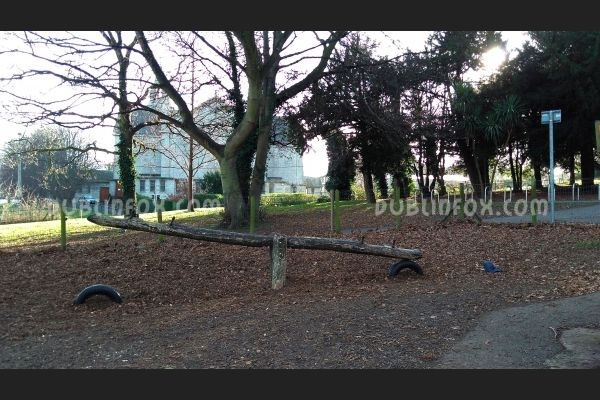 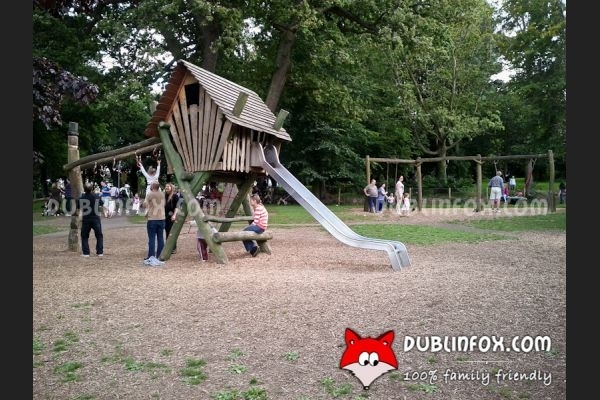 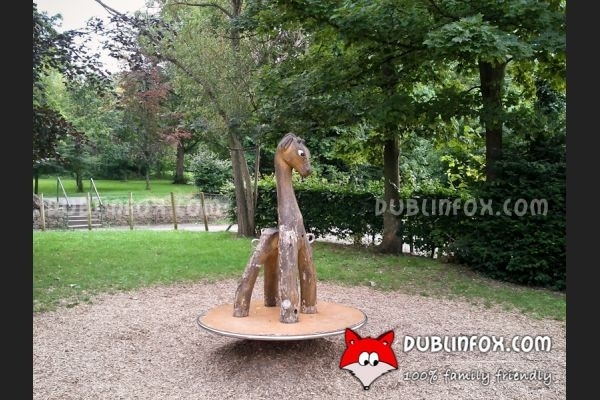 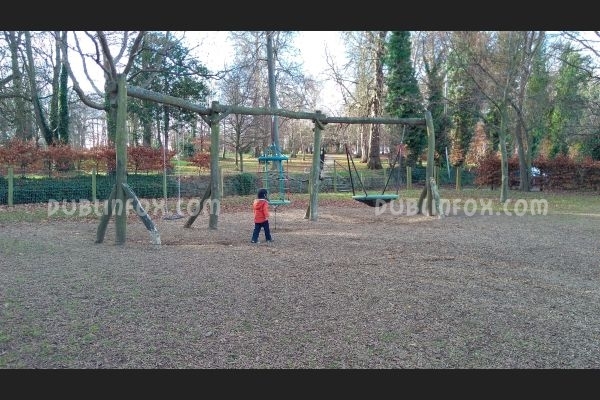 Deer Park playground is a traditional and decent playground with wooden playing equipment in the southern part of Dublin. 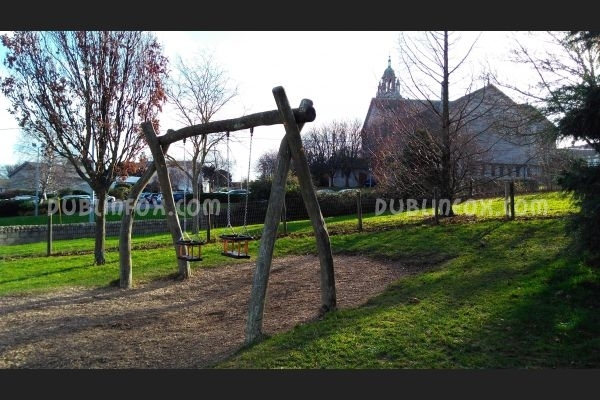 Unfortunately there are only two baby swings, which is a pity, but if you can convince your toddler that the hammock and the basket swing are quite similar to the baby swings, it might save the day if there is a queue in front of the swings. 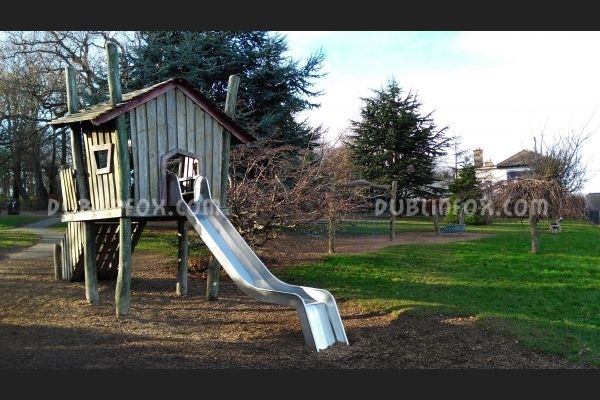 The springers, the wobbly bridge and the slide unit are also popular with toddler visitors, whereas the different climbing structures, climbing nets, the pendulum swing, the bigger slide unit and the see-saw are enjoyable for older kids as well. 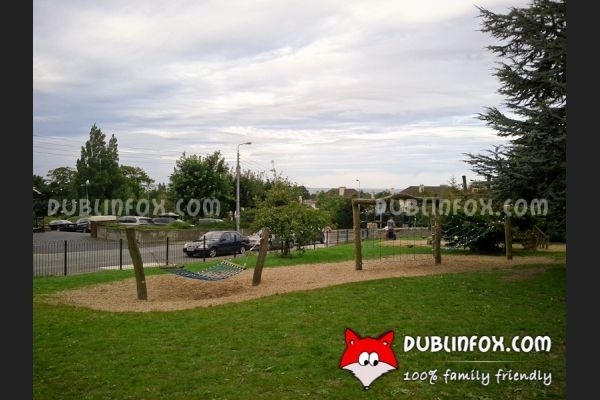 Before or after visiting the playground, it is worth taking a walk in Deer park, it is well-kept and has a very welcoming atmosphere.